Capture her heart with this lustrous platinum bridal ring set featuring a beautiful flower shaped diamond cluster engagement ring with diamond set shoulders, along with a sparkling diamond set wedding ring. An enduring symbol of your love. 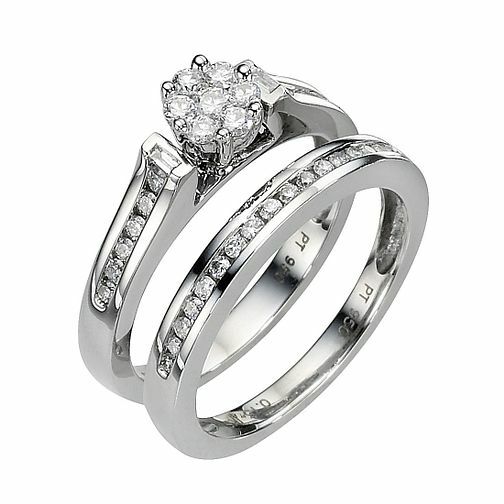 Platinum 1/2ct Diamond Perfect Fit Bridal Set is rated 5.0 out of 5 by 3.